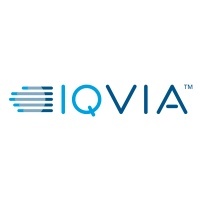 IQVIA is looking for Animal Health Regulatory Agent to be part of our team in Tanzania working on the African Livestock Productivity and Health Advancement Initiative (A.L.P.H.A.) project, with the ability to coordinate local regulatory activities. Successful candidate will need to have previous experience working with the NAFDAC and product registration. This will be a part-time/ fixed term role pending the outcome of the project. Setting ambitious targets while knowing how to take risks, initiative, customer focused, ability to function effectively within a team + to lead a team, people oriented, innovation, culturally sensitive and strategic thinker. Demonstrable high performance with a high drive & energy. Integrity, innovation and adaptability & building team cohesion are key. Understanding of the budgeting and forecasting processes, a clear grasp of marketing strategies and processes, negotiation skills, ability to establish / lead a high performing sales team and communication skills. Sales & market analysis. Ability to translate marketing strategies into actionable points for sales team & implementation. Proven leadership skills. Operations Leads in A.L.P.H.A initiative regions of Tanzania. Investment in sustainable collaborative business and supply networks that will lead to a thriving animal health and related business community. Improved availability of our clients veterinary medicines through importation permits and product registration in selected countries to extend the number of disease interventions available to treat livestock diseases. Adaption of the product packaging and manufacturing to ensure the requirements of smallholder farmers are met for smaller product volumes packaged in the most cost-efficient manner. Local distribution network improvement to go the ‘last mile’ to reach the small holder community. Estimated Percentage of Travel: Candidate will be expected to travel.